Garmin is happy to announce the compact Dash Cam 45 and Dash Cam 55 – new standalone driving recorders with a uniquely small and unobtrusive hardware design and new advanced driver awareness alerts. The Garmin Dash Cam 45 and 55 offer high-quality eyewitness recording with automatic incident detection (G-sensor) to save footage on impact, while also adding GPS capabilities for detailed time and location data. 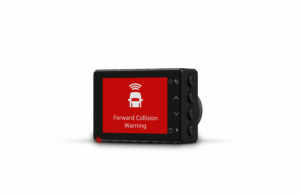 Advanced driver alerts such as forward collision and lane departure warnings are integrated in both new dash cam models to help prevent drivers from either driving too close to the vehicle ahead or drifting off-road. Now with the inclusion of new voice controls (Dash Cam 55 only), drivers can start and stop audio recordings and more through voice commands to help keep their hands on the wheel and focused on the drive. 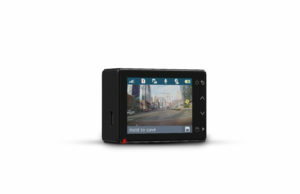 The Dash Cam 55 provides high quality video captured in 1440p, 1080p, or 720p with a 3.7 megapixel camera while the Dash Cam 45 captures 1080p, or 720p with a 2.1 megapixel camera. Both models project excellent fields of view with a 2.0-inch LCD display screen. The addition of Sensory TrulyHandsfree voice control allows users to speak straightforward commands to the dash cam, such as “OK Garmin, save video,” and “OK Garmin, take a picture”, or even “OK Garmin, start Travelapse,” to activate the video capture feature that compresses hours of driving footage into minutes of highlights. Helping drivers stay alert while on the road is one of the main staples of the new Garmin Dash Cam offerings. 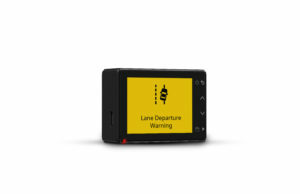 In addition to forward collision and lane departure warnings that can help drivers avoid incidents, the new dash cams also provide red light and speed camera warnings. What’s more, the models are outfitted for the very first time with the useful “Go” alert – a helpful camera-assisted feature that notifies distracted drivers when traffic ahead of their vehicle begins to move. For monitoring purposes, the new parking mode option (cable sold separately) allows the Dash Cam 45 and 55 to automatically start recording a parked vehicle’s surroundings if motion is detected while the engine is turned off. Ease-of-use plays a major role for drivers with dash cams, due to the extensive amount of information a driver can experience on and off the road with advancements in technology and ever-increasing road distractions. 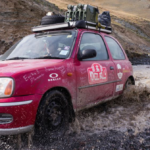 As soon as the Dash Cam 45 and 55 are plugged in, they automatically start recording video without the need for time-consuming setups to start and stop video. With the introduction of built-in Wi-Fi, drivers can now wirelessly sync their videos to the free VIRB mobile app downloaded to a compatible smartphone to effortlessly share recordings with friends or even insurance agencies. In cases where close-up photography is needed, the snapshot feature allows drivers to easily remove the dash cam from its mount to snap photos of vehicles or property damage. For video storage, the new Garmin Dash Cams include their own replaceable microSD card and can accept memory cards (Class 10 required) of up to 64GB. Available now, the Garmin Dash Cam 45 has a suggested retail price of $149.99 while the Garmin Dash Cam 55 is $199.99. For more information, visit www.garmin.com.